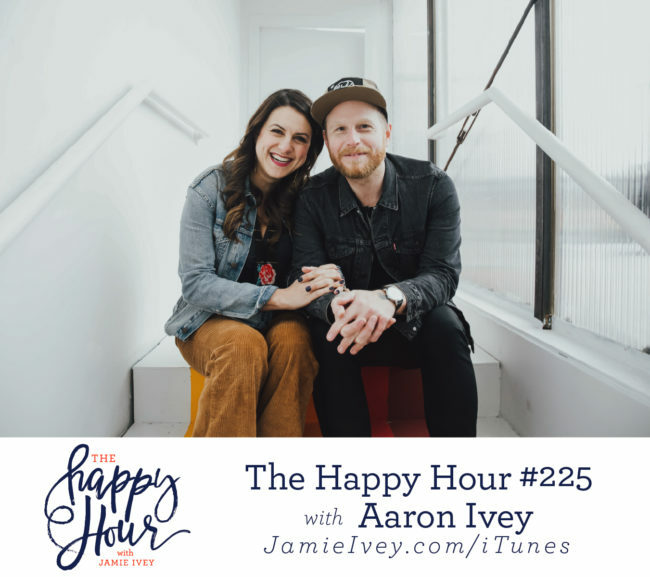 My guest for The Happy Hour # 225 is my man, Aaron Ivey. On this week’s show, we look back and chat about some of the highlights of 2018, including the launch of my book If You Only Knew! Aaron and I talk about how we’ve done our best to manage family, work, marriage and everything in between as this year has been the busiest for us travel-wise. Aaron shares about getting shingles, and we give updates on our kids’ latest adventures. We also fill you in with more information about our new Patreon community. I am so excited about this and can’t wait for you to join the party! It’s been a phenomenal year, and I’m so thankful for all of it and for all of you! Here’s to 2018 and I wish each of you a Happy New Year! 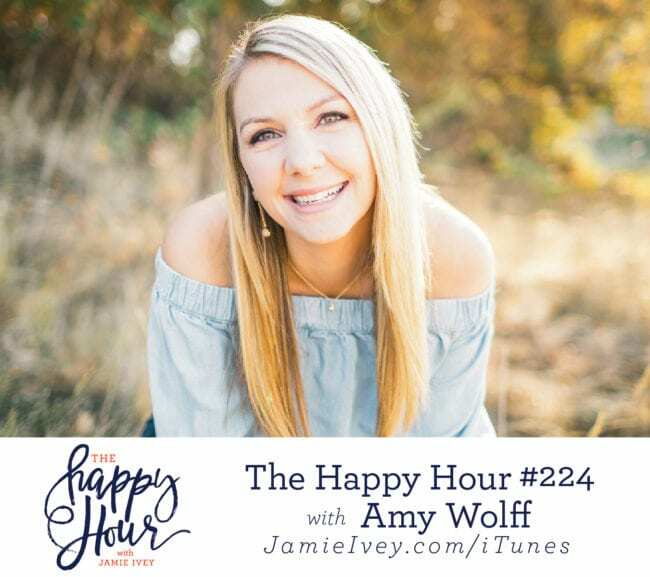 My guest for The Happy Hour # 224 is Amy Wolff. Amy is a TEDx Speaker Coach and Executive Coach for a consulting company she co-owns with her father in Portland, OR. She accidentally started a global movement in 2017 through simple yard signs. But what currently thrills Amy the most is engaging in difficult conversations with unlikely friends and leading teams to Rwanda to experience the global family of God. Amy and I start off talking about jealousy and how this show almost didn't even happen. Amy gives us some great tips about speaking, whether that's at Sunday School, at the PTA, or in front of a large crowd. We then talk about grief and the loss of her brother Jeremy. Amy talks about how it has influenced her life, and the peace and wrestling with God she has experienced. In the second half of the show, Amy tells us how she and her family decided to take action using yard signs when they learned of the suicide rate in their area. What began with driving around asking neighbors if they could place a sign in their yard, has turned into a global movement. We also learn about an unexpected friendship with a witch (yes friends, a witch) that has provided the opportunity to have difficult conversations publicly, but done so in love. And lastly - because we discussed all the things on this show! - we talk about sin, looking at our own sin, and how it influences how we love people. My guest for The Happy Hour # 223 is Julianna Zobrist. Julianna is an author, speaker, music artist, fashion muse, social media influencer, and wife of Chicago Cubs World Series MVP Ben Zobrist. Zobrist has performed at numerous charity and professional events nationwide, and has been featured in Forbes, PARADE, CBS, and Sports Illustrated. She divides her time between Nashville and Chicago, traveling through life with her husband and three kids. Julianna starts off telling us the crazy (and I mean crazy!) story of how her husband's team won the World Series, they unexpectedly had to move, she released a single, and her baby was born pretty much all at the same time. 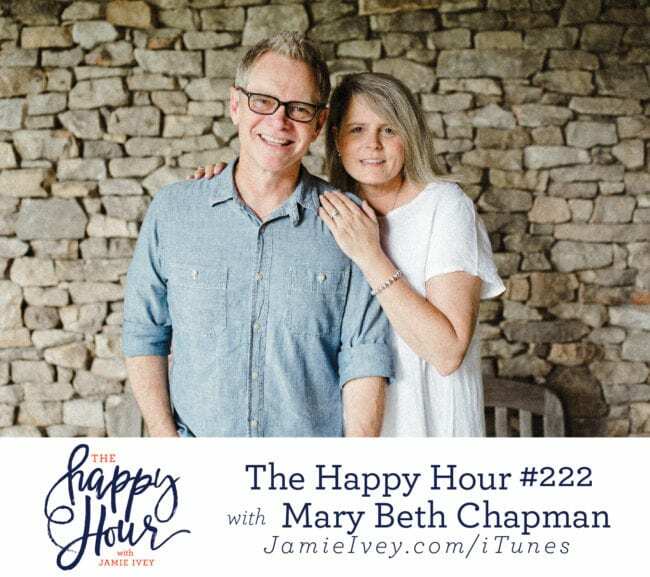 We talk about her journey of discovering what it truly means to be created in the image of God, and how that has transformed her entire perspective on life. Julianna and I then talk about how we all have the tendency to deny or hide who we are, and can tie our identity to something or someone. I loved hearing her speak about how we need to stop apologizing for who we are, and stand confidently in our identity in God. In the last part of the show, we get to hear about life on the road for Julianna and her family, and how they set boundaries and fight for quality time. The Happy Hour Store - Last Week to Order before Christmas!